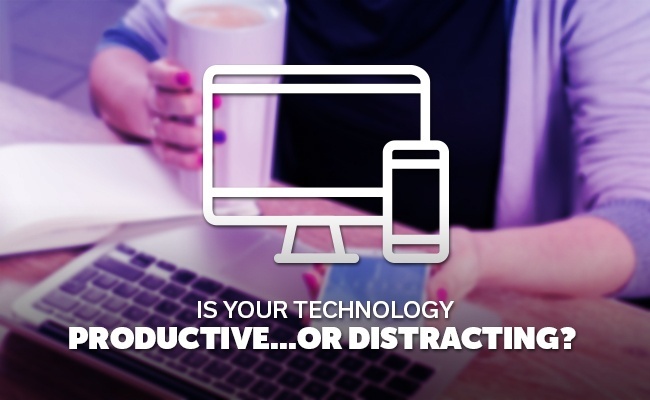 Is Your Technology Productive...or Distracting? financially viable option. Additionally, you need to determine if the business information technology actually does boost your productivity, instead of proving a distraction. Now, this is a case by case business, as your business is different from others and will require different services. Due to this, you need to follow through with these three basic steps in order to find out if it is the right tool to improve business productivity. So, Is Your Technology Productive...or Distracting? Even if a particular piece of hardware or software is right for your business, it doesn't mean it is right for every employee. Your IT staff may be the only department that actually sees the new hardware (such as a new network server). Other times, your IT department may need to set it up and provide instructions to the rest of your company. Before investing in any kind of new business information technology, you need to know who in the company it is suited for. After you identify who in the company the technology is best suited for, you need to consider whether or not it will help save money. Beyond the initial investment cost, will it reduce production cost, or allow you to increase sales? There is no reason to bring in a brand new software, train your employees and take time out of your day setting it up, when there likely is no financial gain from it. Your bottom line should see a net return from the right technology. One example is switching from an internal server to cloud storage. Internal storage takes up valuable office real estate, increases energy consumption, requires attention from your IT staff, which takes them away from other duties, and constant upkeep all cost your business. However, switching to a cloud service reduces expenses nearly across the board. Look at every angle to determine whether or not it will save you money. Will It Make Your Job Easier? Even if a product saves you money, if it takes more work and causes more stress, it may not be worth the investment. You need to look over the potential benefits of any new technology to determine if it makes your employees' jobs easier. Now, there will always be a learning curve with any new business information technology, so that is to be expected. However, once your employees learn the ins and outs, does it actually make their job less stressful? The best way to determine this is follow the first two steps, then go directly to the specific department and discuss the technology with those who will use it most frequently. They know the difficulties of their current job requirements, so they can give you the best answers as to whether it helps or hinders their personal performance. Making a job harder for employees may lead to departures, so answering this question for yourself is important. 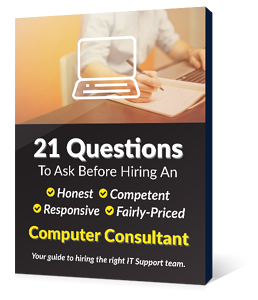 By following through with these tips, you should be able to identify helpful business information technology hardware or software. By reducing distractions and increasing productivity, you should see an upturn in business.